The Proust Questionnaire, popularized by the French essayist and novelist Marcel Proust, is said to reveal a person’s true nature through a series of probing (i.e., nosy) questions. 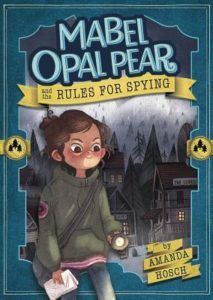 In the hot seat today: Amanda Hosch, author of the MG mystery, MABEL OPAL PEAR AND THE RULES FOR SPYING (Capstone, October 1). What is your idea of perfect happiness? A book in hand, my husband, kids, and cats nearby, and a cup of coffee, magically still hot. What is your greatest fear? Death of a family member. What is the trait you most deplore in yourself? Bluntness. What is the trait you most deplore in others? Carelessness. Which living person do you most admire? Hillary Clinton. She is the personification of smarts and grace. What is your greatest extravagance? I bought a replicate of The Lady and the Unicorn Tapestry years ago. It hangs behind my writing desk and it gives me great pleasure to stare at it. What is your current state of mind? Happy. What do you consider the most overrated virtue? Patience. I’m a writer so I use it all the time, but I don’t have to like it. On what occasion do you lie? If I told you that, I’d be busted, wouldn’t I? Which words or phrases do you most overuse? So, just, but (my agent makes me take out 97 percent of “buts”), however. Besides writing, which talent would you most like to have? I’d love to be able to play the piano or sing, and not have people running for the exits in horror. What do you consider your greatest achievement? My family. Sticking with this whole writing thing. If you were to die and come back as a person or a thing, what would it be? One of my cats. They are loved and spoiled beyond belief. What is your most treasured possession? I have a small carving of an elephant that my uncle/godfather gave me for high school graduation. I loved it as a child, and he remembered. His kindness and thoughtfulness touched me deeply. What do you regard as the lowest depth of misery? Knowing that something has to change, but finding it difficult to make the change. What do you most value in your friends? Loyalty and compassion. Who are your favorite writers? Madeleine L’Engle, Rae Carson, Mindy McGinnis, J.K. Rowling, Beverly Cleary. Who is your hero of fiction? That’s a toss-up between Meg Murry and Hermione Granger. Which historical figure do you most identify with? Cassandra. She’s cursed to have no one believe her even though she’s telling the truth. 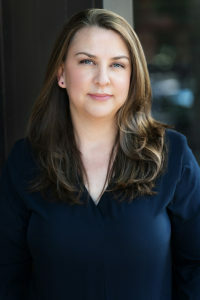 AMANDA HOSCH loves writing, travel, and coffee. She lived abroad for almost a decade, teaching English as a Foreign Language. A fifth generation New Orleanian, Amanda now lives in Seattle with her husband, their two daughters, and a ghost cat. When not writing, she’s a reading tutor for elementary school kids or volunteering at the school library. Find Amanda on her website, on Goodreads, and Twitter.